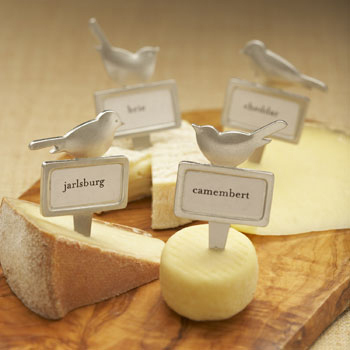 Stylish Cheese Markers from Beehive Kitchenware Co.
Oh Beehive Kitchenware Co. with your painfully adorable cheese markers. Apologies for delays all around Cheesewhizzes land. We’ll be back next week with big fun. 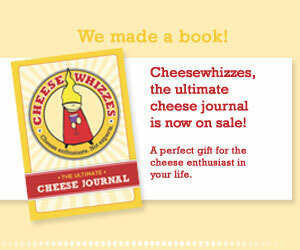 It’s part of the Cheesewhizzes thing, right? 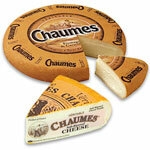 You know we use slate tiles to display the cheeses at each event. They’re fine, they’re useful, they do the trick. 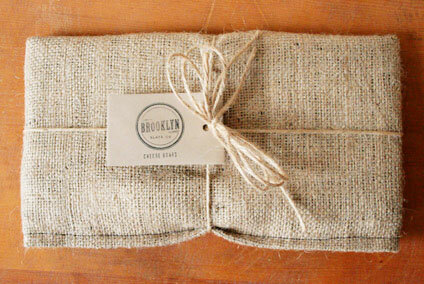 So when the Brooklyn Slate Company sent us one of their slate trays to check out, well, we were amazed. We got a black slate with a natural edge — our recommendation as well — keeps cheeses looking classier than you knew they could. Do you love cheese enough to have it represented on your holiday tree? If so, you are in luck. Sur la Table – that lovely kitchen store – has a collection of cheese themed ornaments ready for you! Sparkly, inspiring, hand-made in Germany cheese ornaments…I have already ordered them as hostess gifts. Artichoke Dip…and yes, it's cheesy! I really do have a collection of artichoke dips. Each one slightly different. Each one VERY delicious! I found this one recently while searching for something to make for a crowd coming over for a rival college football game. Not only did it satisfy those pig skin lovers, I think it would be a mighty fine dip to make for any holiday party. Yes, Food & Wine magazine some shiny gold stars for you! 1. Preheat oven to 350 degrees. Roast the jalapeno directly over a gas flame, turning, until charred all over. Let cool, then peel and seed the jalapeno and cut it into 1/4″ dice. 2. In a large bowl, mix the artichokes with the jalapeno, mayo, Parmigiano, garlic, lemon juice, lemon zest, salt and Tabasco. Transfer the mixture to a 1-quart baking dish. Bake for about 15 minutes, or until hot. 3. Preheat the broiler. Sprinkle the shredded cheddar evenly over the hot dip. Broil for about 2 minutes, until bubbly. Serve hot or warm, with crackers. Holiday shopping when one is 39 weeks pregnant finds one camped out uncomfortably in front of the computer. To be fair, I’m not standing in line, but finding a comfortable typing position is a challenge. Thankfully, there is this plate of cheese to keep me going. In my quest to gift my friends and family, I fell in love with this Colin Cowie Cheese board at the HSN site. I knew you would love it too.